What happens when we sit or just sleep all day? Will less physical stress improves health in general, or will it intensify its deterioration over time? What happens when we stop moving? The human body follows a definite rule or pattern of progression, one that’s easy for us to understand when we are keenly observing it. One interesting area is the growth of bones and muscles. This ability is not predetermined but a positive response to an applied stress. Weight trainers are very aware of this and this is what they are exploiting every minute they are wrestling those bars and bells in the gym. When a certain muscle is under stress, it will increase in mass over time. The bones underneath will react on that same stress in much the same way as the muscles. How did this come about? Is it a preprogrammed reaction to or just a random consequence of the applied stress? In order to understand the mechanism of growth, in general, we must peek into the microlife of the human cell, i.e. how the smallest structure of life behaves and thrives. The cell is in itself a self-contained life form. It goes through its entire existence in much the same way as we are, only in smaller fashion. The human cell moves, eats, and excrete wastes by itself. It also has the capability to protect itself from its enemies. If the enemy is formidable, it proceeds to communicate with other cells in its vicinity and organize a collective counteroffensive. In the case of the human cells and animal cells in general, they can reach maturity only if the body itself nurtures them properly. Each cell needs nutrients and oxygen in order to survive. The physical stress that we apply would result in a forced delivery of these nutrients and fresh supply of oxygen to every nook and crannies of our body, keeping those cells to their optimum health. Always bear in mind that while our cells are aerobic, i.e. loves plenty of oxygen, the parasites are anaerobic, i.e. they die off from oxygen suffocation. Once each cell matures it split into two separate cells. Each cell has a male and a female component within its structure. The cell replicates within itself as it has not evolve into a more specialized organism yet, where sexuality is intrinsically specified. These replications will in turn split again upon their maturity. This continuous replication of the cells results in increased cellular population and overall increase in mass of the tissue where they belong. This is the mechanism of growth, and the evolution of the physical form. The increased volume of oxygen into our lungs through regular physical exercise will consequently increase the microbial resistance of the entire body, and increases the possibility of the cells reaching maturity to enable them to replicate even more, that would further increase the lung capacity for oxygenizing the blood, and subsequently increase the volume of the entire body mass. Muscle stress targeting allows us to physically shape our body to the desired symmetry. Now that we understand how regular physical stress affects our body over the course of time, it’s also to our benefit to understand how the absence of physical stress affects us with some undesirable outcomes. Evidence shows that prolonged sitting is devastating to your health. It actively promotes dozens of chronic diseases, which includes becoming overweight and type 2 diabetes, even if you’re very fit. Studies looking at life in agriculture environments show that people in agrarian villages sit for about three hours a day. Meanwhile, the average American office worker can sit for 13 to 15 hours a day, and research shows that vigorous exercise cannot counteract the adverse effects of this prolonged sitting. More than likely you can avoid most of the damage from excessive sitting if you sit less than three hours a day. Typically I seek to sit under one hour a day, but as long as you are under three hours every day you will likely avoid most of the damage excessive sitting causes. Sitting down for too long and often turns out to be an independent risk factor for poor health and an early demise. Interestingly, evidence of the biological effects associated with lack of movement date further back than you might think—straight into the human fossil records. Fortunately, the remedy is simple: Avoid sitting and get more movement into your life. The key is to exert your body against gravity, as explained by Dr. Joan Vernikos. While just about any movement will do, weight-bearing exercises are beneficial and suitable for most people regardless of fitness level, as is yoga. In addition, standing up as much as possible, preferably with a stand up desk, will greatly facilitate your ability to replicate ancestral movement patterns. “The lightweight bones don’t appear until about 12,000 years ago. That’s right when humans were becoming less physically active because they were leaving their nomadic hunter-gatherer life behind and settling down to pursue agriculture. A report on the work appeared… in the Proceedings of the National Academy of Sciences,2 along with a study from a different research group that came to much the same conclusion. Those researchers looked at the bones of people in more recent history who lived in farming villages nearly 1,000 years ago and compared them with the bones of people who had lived nearby, earlier, as foragers. The health effects go far beyond reductions in bone density, however. I for one am absolutely convinced that sitting is in and of itself a root problem of many of our chronic health problems, and mounting research supports this notion. According to Dr. James Levine, co-director of the Mayo Clinic and the Arizona State University Obesity Initiative, and author of the book Get Up! Why Your Chair Is Killing You and What You Can Do About It, some 10,000 publications have shown that sitting is harmful to your health, irrespective of other lifestyle habits, including an excellent exercise program. Part of the reason why this may seem so surprising is that we’ve become so accustomed to sitting in chairs that we’ve failed to realize that doing so might be seriously problematic. Even I am perplexed at how I missed such a profoundly important health principle for the first 60 years of my life, but now that I have a better understanding of the science behind it, the cause and effect are quite clear. And so is the remedy. As explained by Dr. Levine, who has dedicated a good part of his career to investigating the health effects of sitting, when you’ve been sitting for a long period of time and then get up, a number of molecular cascades occur. For example, within 90 seconds of standing up, the muscular and cellular systems that process blood sugar, triglycerides, and cholesterol—which are mediated by insulin—are activated. Surprising as it may sound, all of these molecular effects are activated simply by carrying your bodyweight upon your legs. These cellular mechanisms are also responsible for pushing fuels into your cells and, if done regularly, will radically decrease your risk of diabetes and obesity. In short, at the molecular level, the human body was designed to be active and on the move all day long. Stop moving for extended periods of time, and it’s like telling your body it’s time to shut down and prepare for death… As noted by Dr. Levine, while we clearly need to rest from time to time, that rest is supposed to break up activity—not the other way around. Inactivity—sitting—is not supposed to be a way of life. “[T]his very unnatural [sitting] posture is not only bad for your back, your wrists, your arms, and your metabolism, but it actually switches off the fundamental fueling systems that integrate what’s going on in the bloodstream with what goes on in the muscles and in the tissues,” he says. As a consequence of sitting, your blood sugar levels, blood pressure, cholesterol, and toxic buildup all rise. The solution to these adverse events do not involve a prescription—all you need to do is get up, and avoid sitting down as much as possible. Since most of us live lives that revolve around an office chair, a car seat, and the couch, most will need to figure out how to eliminate many hours of sitting every day. As a general starting guideline, Dr. Levine suggests standing up for at least 10 minutes each hour. If you’ve been sitting down for a full hour, you’ve sat too long. I’ve previously recommended standing up and doing exercises at your desk every 10-15 minutes to counteract the ill effects of sitting, but after discussing the issue with Dr. Levine and reading his book, I’m convinced that’s still insufficient. I really think the answer is to stand up as much as possible. Standing for 10 minutes for every hour of sitting is really the bare minimum. It would seem far wiser to strive to sit as little as possible, certainly less than three hours a day. I personally strive to sit less than an hour a day and usually succeed. This has had the remarkable effect of eliminating persisting back pain that I’ve struggled with for many years, despite chiropractic treatments from a dozen different clinicians, using an inversion table, exercises, stretches, laser treatment, ab work, Foundation Training, and other posture exercises. I now believe the combination of high intensity training, non-exercise activities like walking 7,000 to 10,000 steps a day, and avoiding sitting whenever possible is the key to optimal fitness and enjoying a pain-free, joyful life. I typically log 15,000 steps a day and have put in over two million steps since I started walking earlier this year. Remember I recommend walking in addition to your regular fitness regimen, not as a replacement for it, but if you’re currently doing nothing in terms of a fitness regimen, walking is certainly a great place to start. If you don’t already have a fitness tracker that records your steps, I would encourage you to get one. Another advantage of some of the newer fitness trackers is that they can record how much you’re sleeping too, and can help motivate you to get to bed earlier so you can get eight hours of sleep. Jawbone’s Up33 is among the most advanced fitness tracker to date, but there’s an explosion of fitness trackers coming, so even more advanced ones are sure to follow. The Apple Watch,4 which is set to launch this year is one example. I have reviewed many of them and the Jawbone is one of the best. Their Up3 also monitors heart rate, and will be out early in 2015. There are also a number of bodyweight workout apps that you can download to your smartphone for easy reference. Adaptability is really what makes this system so great: it’s adjustable to almost anyone, from the least fit to the professional athlete. Just be sure you are performing the exercises correctly. I recently reviewed five of the most common errors people make with their bodyweight exercises. Below, fitness trainer Jill Rodriguez demonstrates several simple bodyweight exercises. The evidence is overwhelming at this point—10,000 studies and growing—that prolonged sitting will reduce your lifespan by promoting dozens of chronic diseases. As a general rule, if you’ve been sitting for an hour, you’ve sat too long. At bare minimum, avoid sitting for more than 50 minutes out of every hour. Ideally, you’d want to limit sitting as much as possible. As mentioned earlier, people living in agrarian communities sit an average of just three hours a day, which would be an admirable goal. I also recommend challenging yourself to walk 7,000-10,000 steps per day, over and above your regular fitness program and standing up during work. Consider one of the new fitness trackers that can monitor both the number of steps you take, and the number of hours you sleep, as optimizing these factors can have a profoundly beneficial impact on your life, and it’s difficult to modify your behavior if you’re not monitoring it. 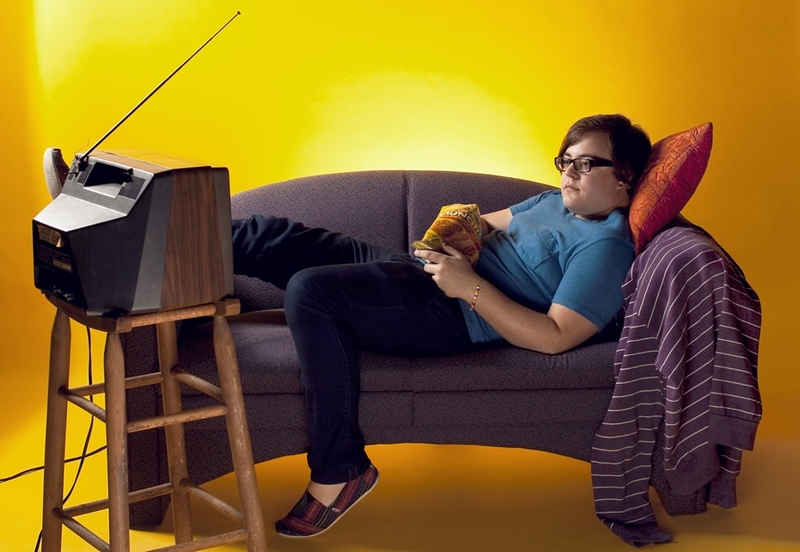 It’s quite clear that most of us are too sedentary on an hour-by-hour basis. The answer is simple, but it will require a change in how we live. The good news is that the required changes are within each and every person’s control. So I encourage you to start thinking about how you can get more physical movement into your life, every waking hour of every day. Dr. Levine’s book, Get Up! Why Your Chair Is Killing You and What You Can Do About It is a great resource to learn more. You can also check out my previous interview with Dr. Levine if you missed it.